For Dough :- Mix carom seeds, salt, red chilly powder, oil with atta and prepare a stiff dough by adding little water. Divide the dough into equal parts. Cover it and keep aside. For Stuffing :- Take all the above mentioned ingredients in a bowl and mix it well. Make a dry mixture. Now take one portion of atta and roll it with your palm, press with your fingers and expand it like a katori. Put little stuff in middle and tightly cover from all the sides. Press it as shown in the picture. Put it on a toaster and roast it till the outer layer turns little golden/brown in colour. Grease little ghee/oil to the litti. When both the sides turns golden brown, remove it from toaster. You can dipped it in more ghee or serve as it is. 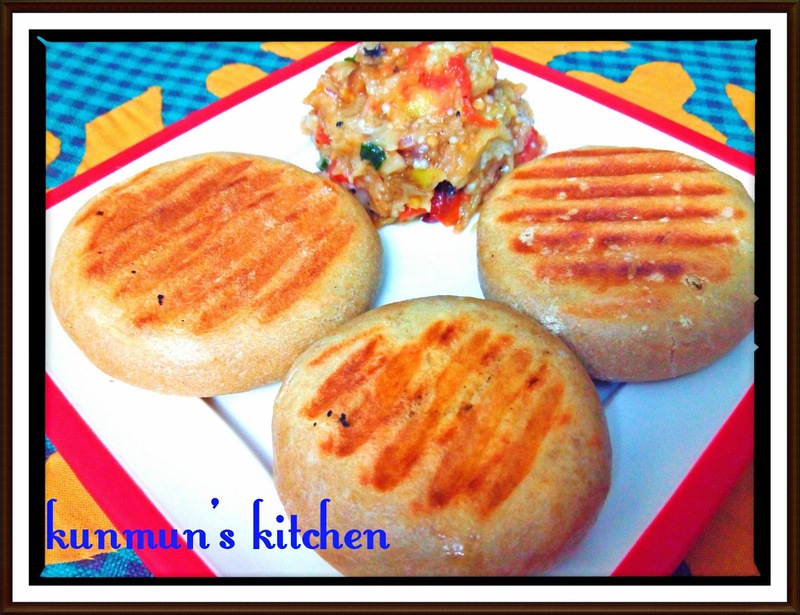 Basically litti is cooked in traditionally charcoal fire or chullah. You can also deep fry it in oil/ghee Or grill it in microwave. Roast 1-2 brinjals and tomato on gas chullah, let it cool and clean it. Add chopped onion, green chilly, chopped garlic, mustard oil, coriander leaves and salt to taste. Mix it properly. You can also add roatsed potato and mix. 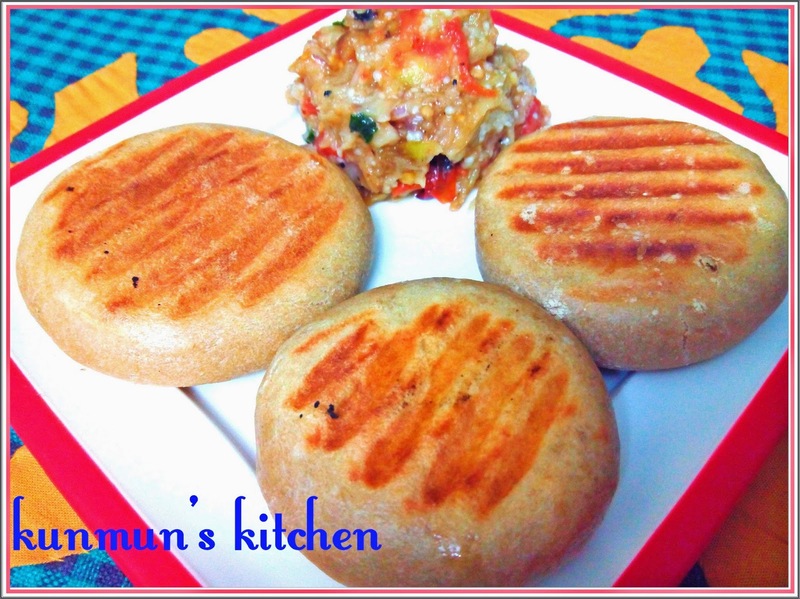 Break the litti and put 1 tsp ghee in middle and serve with chockha or green mint chutney. Enjoy it !! !